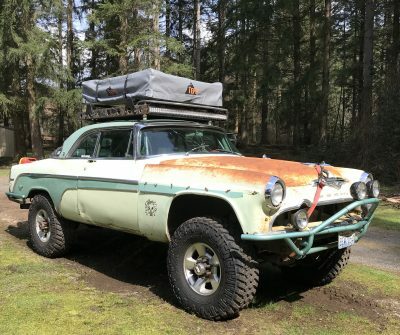 Meet Chupacabra, A 1955 Desoto Fireflite That Is Off-Road Perfection. Wait, What? (Words by Olivia Scaffidi and Photos by Dave Mackey) The 1955 Desoto Fireflite owned and built by Dave Mackey of Marysville, Washington is a regular competitor in the Gambler 500, which we completely understand makes no sense. 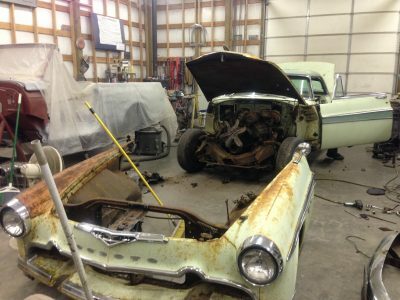 The car was initially purchased off Craigslist for its Hemi engine and the plan was to use it for a future hot rod project. 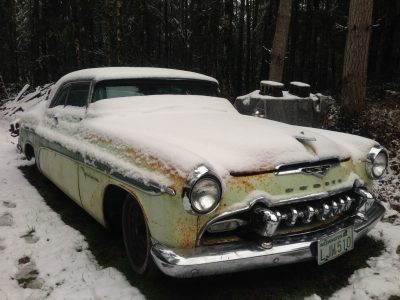 By fate, the Desoto became a venture in itself. “Its condition was poor at best,” Dave begins. “The car had a rough life and was very rusty. It could have been restored but it would have cost way more than its value.” That made the Chupacabra the ideal candidate to build into a Gambler car. 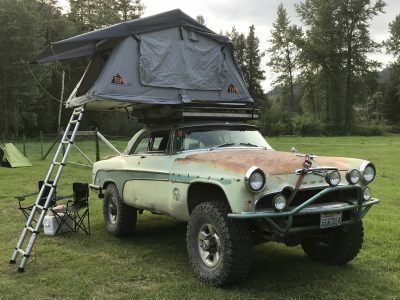 After all, the point of the event is to rally a cheap, impractical vehicle and the Desoto definitely checked both those boxes. 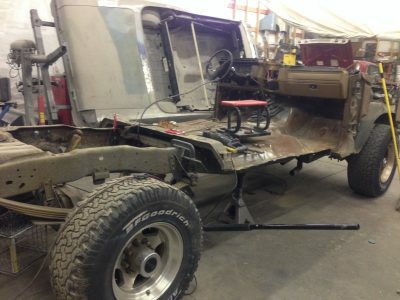 Dave took the body of the Desoto and mated it to the firewall, floor pan, bed floor, and shortened chassis of 1986 Ford F-250. 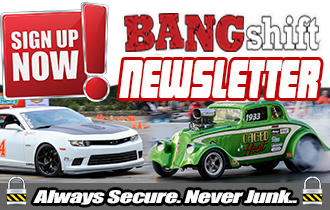 “The chassis and drivetrain is all original to the truck with the exception of shortening the wheelbase 30 inches,” he explains. 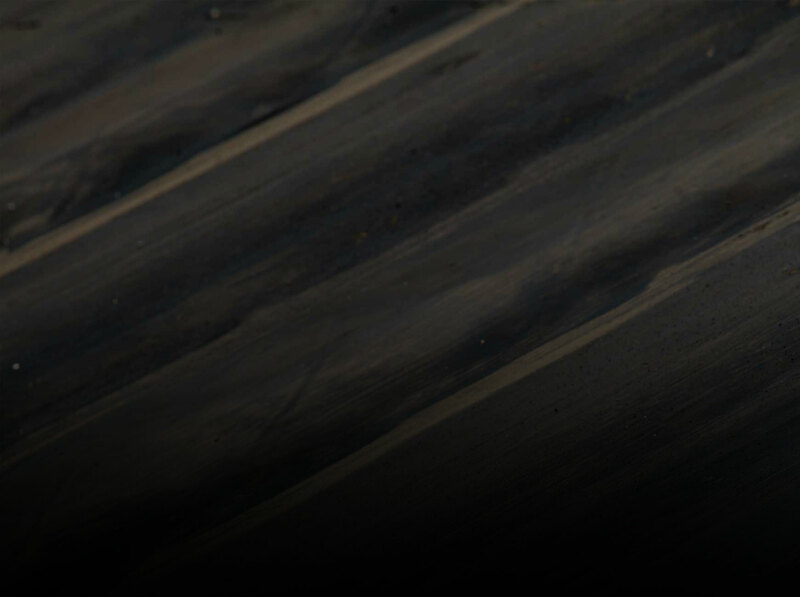 The Ford 460 has been lightly modified with a mild cam and aluminum intake and bolted up behind the engine is the standard Borg Warner T18 manual transmission. 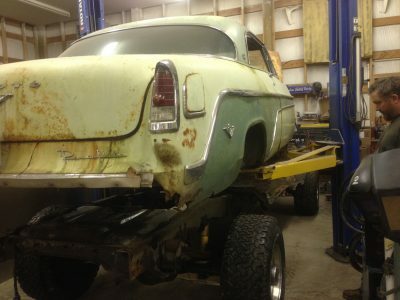 The Desoto also uses the factory front and rear axles from the F-250. 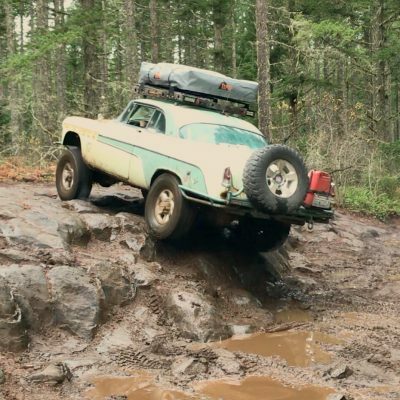 “The Chupacabra does not have a suspension lift. It is stock height but I am running 37-inch Nitto tires on late model Dodge wheels. 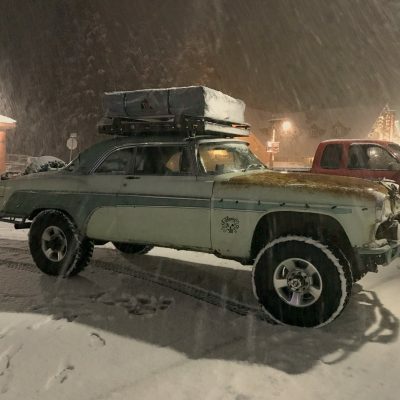 The front fenders were modified to fit the tires and give it a vintage pre-runner vibe,” Dave says. The whole purpose of this project was to show that with a little bit of effort, time, and ability, you can build a cool car and have fun on a budget. 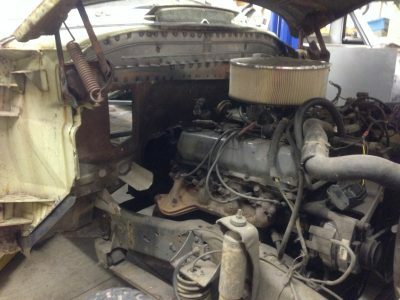 The Desoto was built in 32 days for only $2500 using parts that were sourced, used, or donated by friends. Since then, Dave has fitted the off-roading machine with new tires, a Tepui roof top tent, and a Warn winch. Be sure to follow Dave on Instagram @1955_Chupacabra for more updates on the car and stay tuned for his next project. That looks like more fun than any one person should be allowed to have! I second that! Good on ya, Dave! I don’t even think Geordie would disagree! Saw this when the Hot Wheels tour was in town. Very cool car! Twar!!! Dave is a very talented and highly skilled guy. I have seen the car in person. It is very well thought out, engineered and assembled. He’s driving it and having fun, it don’t get better than that. Well done, I like it!!! !